I was outside walking around in the woods when ever I could be. Birch trees were my favorite because they are so different they stick out in any season, even at a distance. 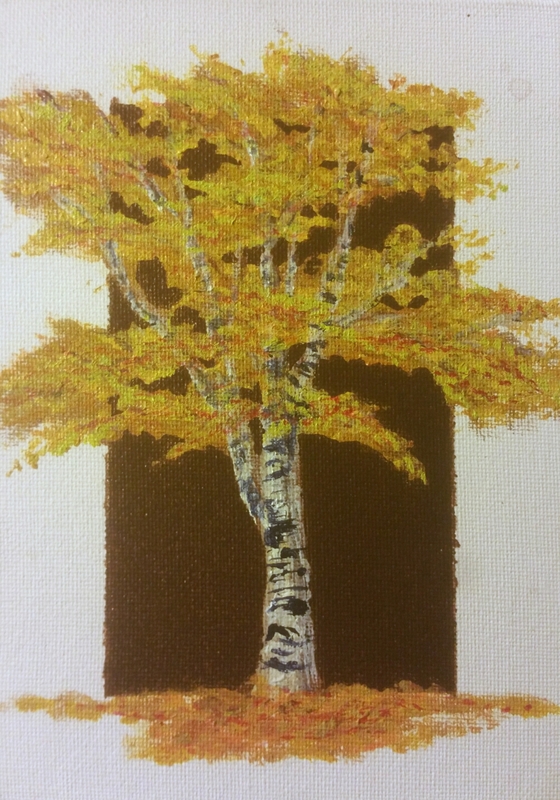 Painting trees, I also think of my grandmother who lived next door. I remember sitting in her studio, watching her paint for hours. She was an amazing painter and used the local scenery in many of her paintings. 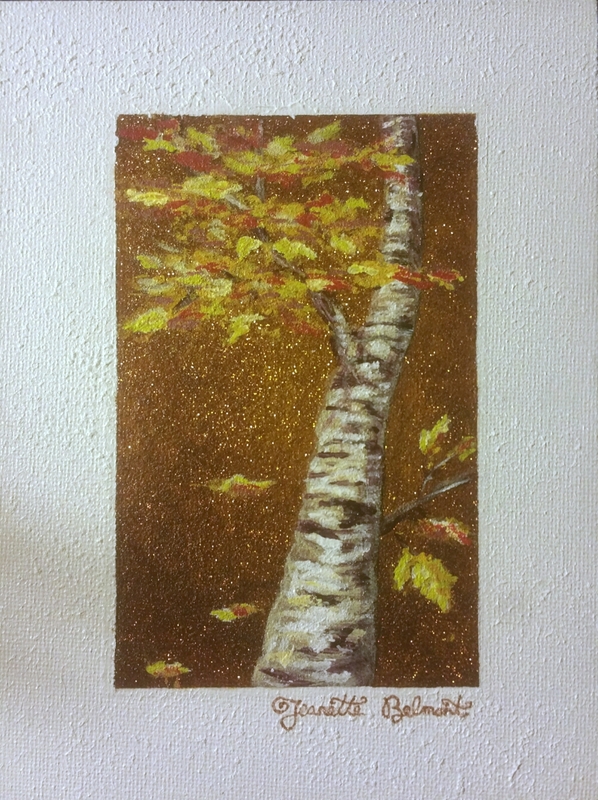 When I study and paint birch trees it takes me back to those happy times. 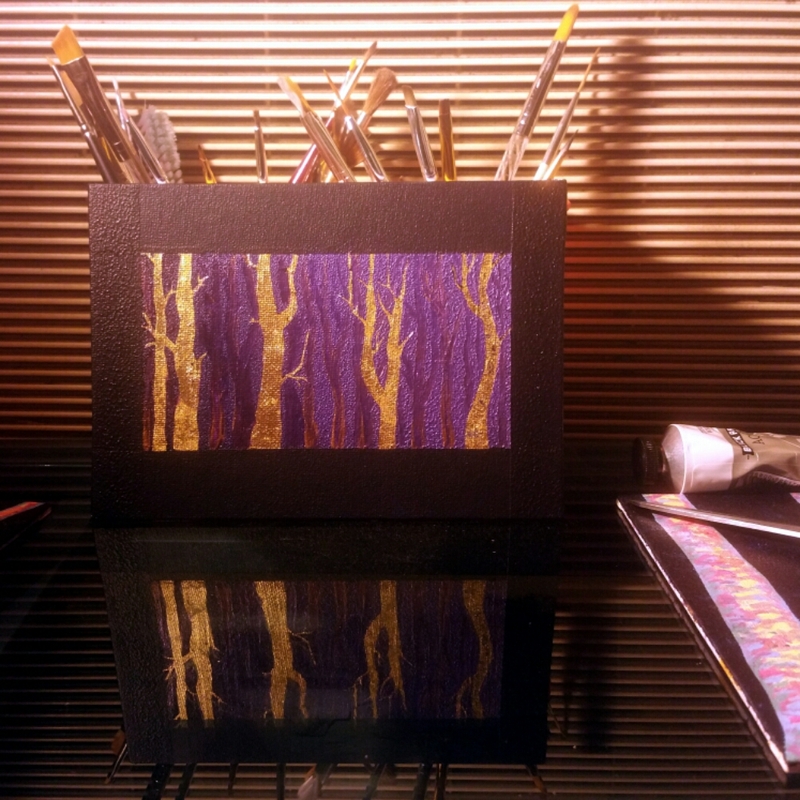 I worked on the 5″x7″ Birch trees today. I completed one and moved a few others along. Decisions about frames are on the horizon for them. I am very excited to start more in larger sizes soon. Below is the current progress of the day. I completed the border/background on this one.